Not a huge surprise. Catholic School kid and Moser and Brian Mullins are leveraging Final Four as we would expect them to. Would have loved to see him in a Redbird uni. Loyola is setting itself up to dominate the Valley for a while. Then we'll be talking about Loyola to the Big East and then we'll get into our usual death spiral about the Valley. Marquise my son will be going to Brother Rice in a couple years and he loves the Redbirds. Pick ISU! Loyola went after this kid big time. Loyola expenditures on campus, location, wealthy/successful alumni, significant movement upwards in national academic rankings is working well with administrations efforts to improve their athletic profile (aka win). Agree with comment that Loyola is likely going to be the top dog in the valley in the future. They have significant advantages on the other MVC universities when it comes to recruiting. .
For all the reasons why Loyola is a good MVC addition sheds light on why I believe Murray State would be a horrendous add to the MVC. Murray State traits are exactly opposite of Loyola. Unfortunately I am not a talented football coach rather just a father of 3 Fenwick graduates in the past 7 years. Do you know Nudo? Nudo certainly revived Fenwick’s football program although they are struggling this year. Yeah I know Gene. He's a great coach, really a master of getting kids to "buy in". We played against each other in H.S. Went to ISU at the same time. Coached against him when he was at Driscoll. I was really happy to see he landed at Fenwick. Still see him at the CCL coaches clinic every year. He's good people. Is Marquise Kennedy projected to be a better PG than DJ Horne? Why would Dan continue to recruit Marquise Kennedy after he received a commitment from DJ Horne? Not going to recruit two PG's. He could. If gassman and Chastain remain off scholarship then there are 4 scholarships open next year. The matrix shows Gassman has scholarship for some reason even though he doesn't. If Chastain is good he may get that fourth one. I'm all for having 2 PG's being recruited. Don't like all my eggs in one (Horne's) basket. it appears we have plenty of wings next year so just need the basics covered. I loved the Boo/Dom combo PG year. Muller wants the most talented players he can get. Who will be the guards in the program in the 2019-20 season? Boyd, Copeland, Hein, and Jefferson. They'll also have WO D2 transfer Donnelly. At this time I would put Copeland and Jefferson as the top two in that instance. Muller will be looking for combo guards. Not saying this will happen but I could see Hein giving up his scholarship (again) if needed. It was a very unselfish thing to do. Doug McDermott did it his senior year in favor of Grant Gibbs who was granted a 75th year of eligibility. I think we'll be filling at least 3 more scholarships at the end of the season. From what I have seen of Horne on video and Kennedy in-person, I don’t think they really play the same position. Kennedy is an under-sized 2. Horne is a 1. Maybe Kennedy is trying to become a 1, but his ballhandling and perimeter shooting will need to improve significantly for him to thrive as a 1 in the Valley. On the other hand, he will be one of the most athletic guards in the league and an elite defender. Plays way above the rim. We've found ourselves PG light way too many times during the down years to be worried about having too many. 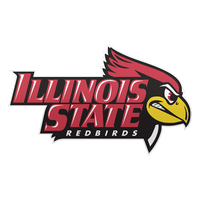 My opinion is that Marquise Kennedy had no interest in coming to Illinois State after DJ Horne committed. Had nothing to do with whether or not Dan backed off. Can’t remember the last time Illinois State signed to good freshman point guards the same season. We will never know, but if I were betting my own money, I would bet Muller and Co. knew Kennedy wasn't coming after his visit, which allowed them to then move forward and sign Horne. At a school like ISU, if you don't close a kid during the visit, the probability of him signing goes down considerably when he's visiting places like Wichita and Loyola afterward, and with Florida St. in the mix.